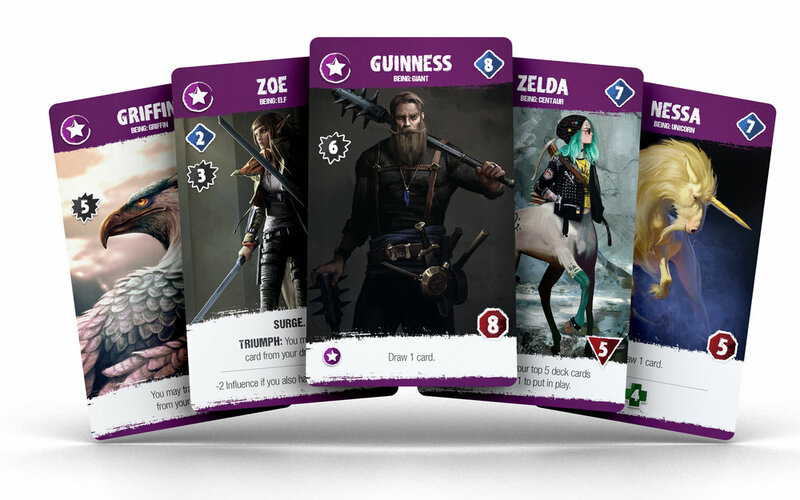 a deck building game featuring modern fantasy creatures. Vampires are bent on destruction, draining the life from others, and are able to trash cards more frequently. Vampire Hunters have a team-based attack with more healing, dexterity, and benefits in the marketplace. Their heavy attack grows even stronger as they increase in number. A support group who want more than anything to be either Vampires or Vampire Hunters. Will even sacrifice themselves to support their side. Acquire poisons and drop them into your opponent’s deck to weaken them. Poisons affect your opponent directly, as well as affecting their characters in play. Special characters, items, and spells giving strong, varied, inter-connected abilities to help you. Modern day elves, dwarves, and other creatures will give new capabilities in your quest to win.